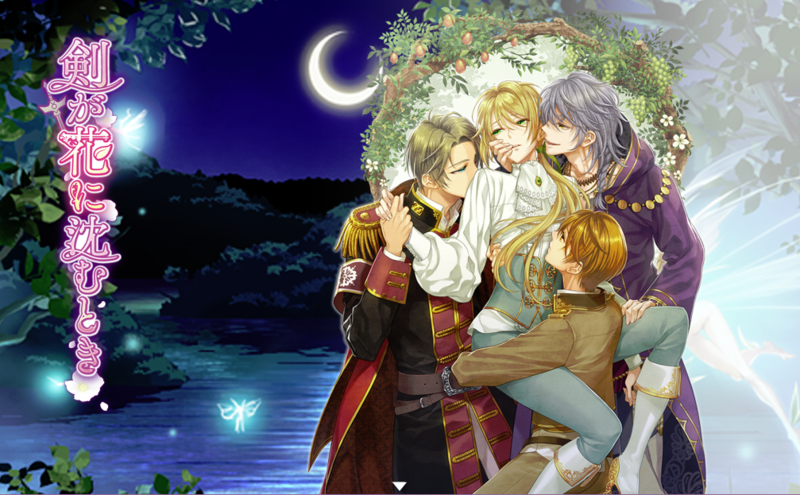 Les Fleursword is an otome game for PC you can get from Steam. Let me start this by saying that on Steam the review is mostly negative (as of posting this review) and… I guess it does kinda deserve that rating. Not that the story/game was bad, just… the translation quality was pretty bad. It’s like someone just put through all of the games’ text through Google translate and slotted it back into the game. I still found it understandable though… you just need to do some mental gymnastics. …yeah, that kind of translation – one of the better example. …the above was a good example of the translation quality. To supplement the above: Adelaide was marked with a curse that would slowly kill her. The magician, content with enacting his revenge, was taken into prison. While the magician said that there was a way to save her, he refused to say where it could be found. 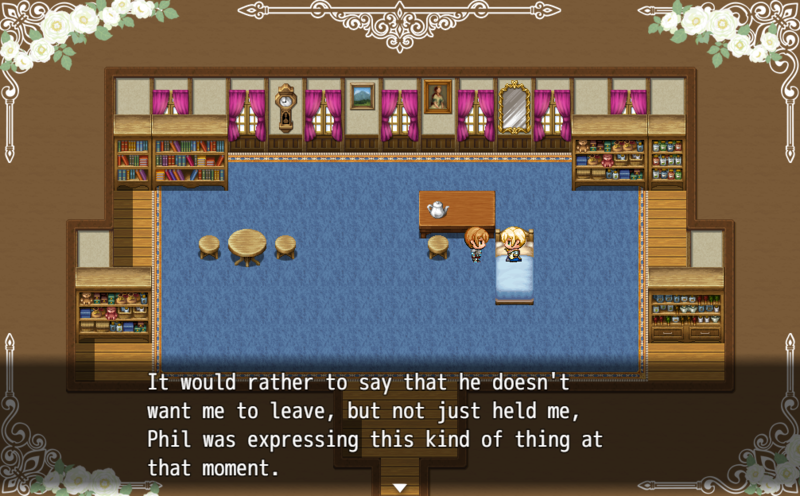 The game was made using RPG Maker I believe, which in my mind is a bit of an interesting shortcut. I said “shortcut” because… you can use the tiles and you don’t need to find/commission, say, background CGs. Every medium has its place though, and I guess the way it’s used in this game would shorten production time? But I digressed. There are 3 guys you can aim for, and I think… only one of them (the magician I think?) had 2 endings. There were around 4-5 Event CGs for each character (inclusive of the 18+ CGs). You can scroll through the Steam Community Hub for some event CG samples (and more questionable translations sample). Romance content was OK, although some things got resolved off-screen and that part was not satisfying. Each of the guy had to travel to get the ingredients necessary to cure Adelaide – but you never saw any of this struggle/hardship. They left and came back a paragraph later having found the ingredients necessary and yay she’s saved! …I was like… um, yay? The story was no masterpiece there, just a short story that’s OK to pass time. …although I suspect a better translation quality would actually elevate this game from the ‘OK’ realm into ‘good’. The length of the story also meant you’re not going to see in-depth character/relationship development, but that’s within expectation. To note, the Japanese copy of the game is 18+, and there’s a patch you can download to restore it for the Steam copy. I applied the patch before I played my copy, so I have no idea what would be missing from the game without it. The game is pretty straightforward, but if you need a guide there’s one available on Steam. TL;DR short, cheap (and hilariously translated) game to kill some time – just don’t expect a masterpiece and you’ll be fine.